Robin has sailed all his life and as a youngster he was part of the NED National Optimist Team. After the Optimist he starting a successful 29er campaign with best result a 5th place at 29er Worlds in Medemblik. Following the 29er he became part of the NED National 49er squad. Currently Robin has started a 470 campaign “Orangewater Sailingteam” together with is helm Cas van Dongen. 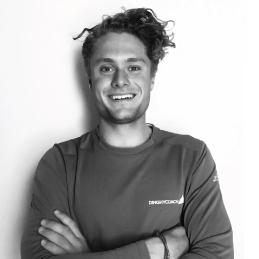 Robin is a young responsible sailing professional who loves being out on the water and help other sailors improve their skills and level.